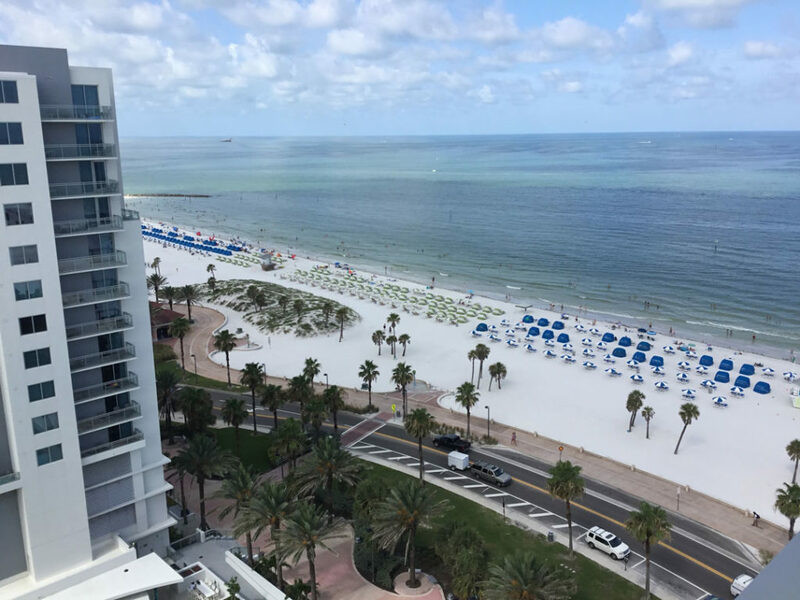 Within minutes of checking in to my room at Wyndham Grand Clearwater Beach, I unpacked, changed clothes and hit the beach for a long walk. That set the stage for the rest of my site visit trip: if I had even a short break, I was out the door finding a way to reset, renew and recharge. It wasn’t difficult. 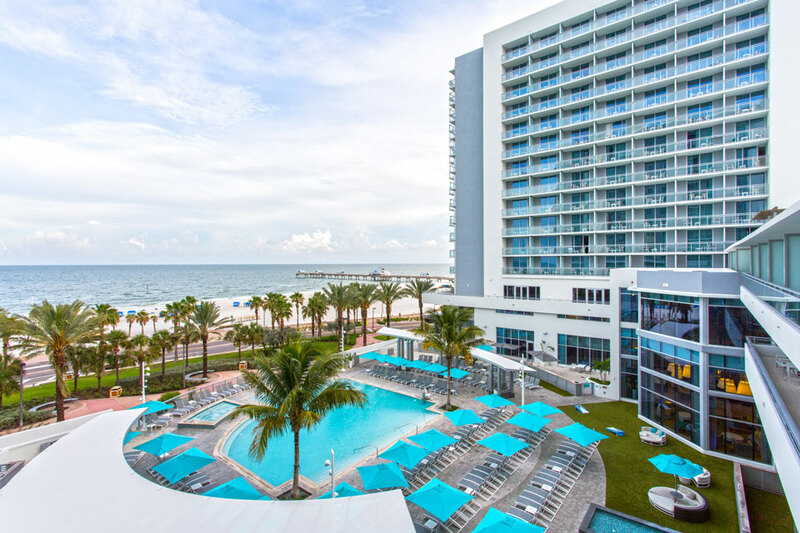 At the Wyndham Grand Clearwater Beach, there are miles of pristine public beaches and beach-side sidewalks to stroll or run just beyond the hotel’s pool deck. Walk out the other side of the lobby, and there are miles of sidewalks lined with shops, restaurants, and two marinas. 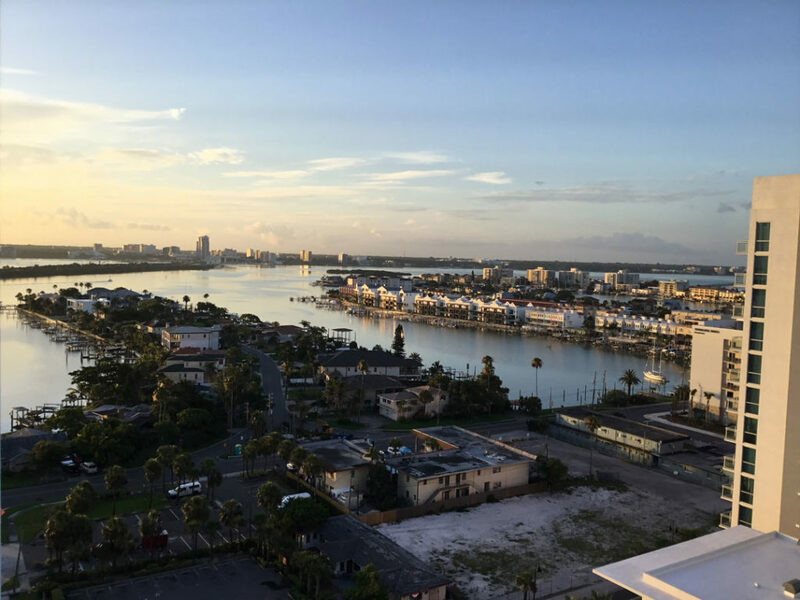 Something for anyone’s strolling style, sunsets on the beach side, sunrises on the marina side. 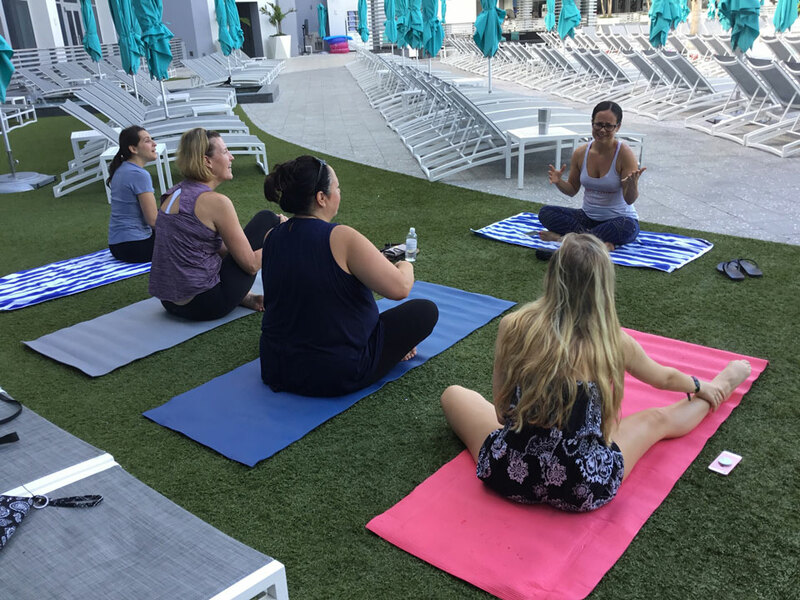 The hotel offers a fitness room with glorious views of the pool and beach and morning pool-side yoga classes. 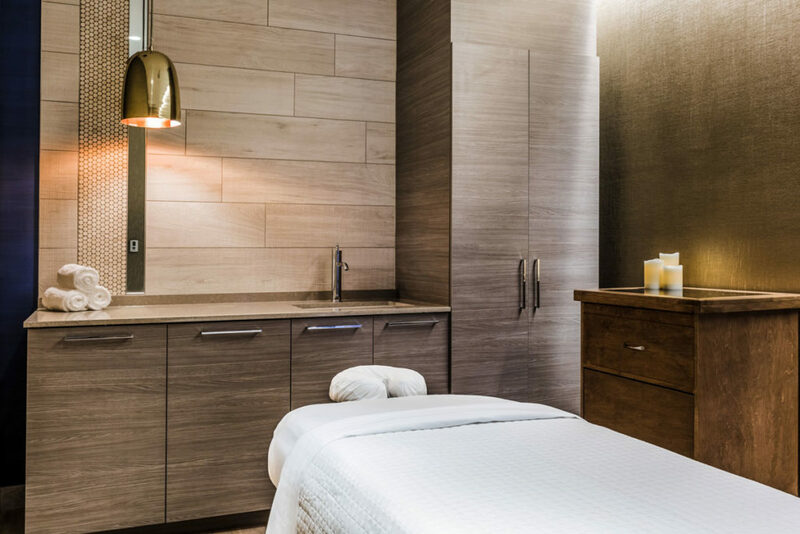 I took advantage of both of my recent site visit, and went for total relaxation at the luxurious Pallavi Spa. Pallavi, I learned, means “new leaf,” and that is the guiding principal behind all the treatments at the lovely spa. Resting in the relaxation room after my massage, I certainly felt like I’d turned over a new leaf. 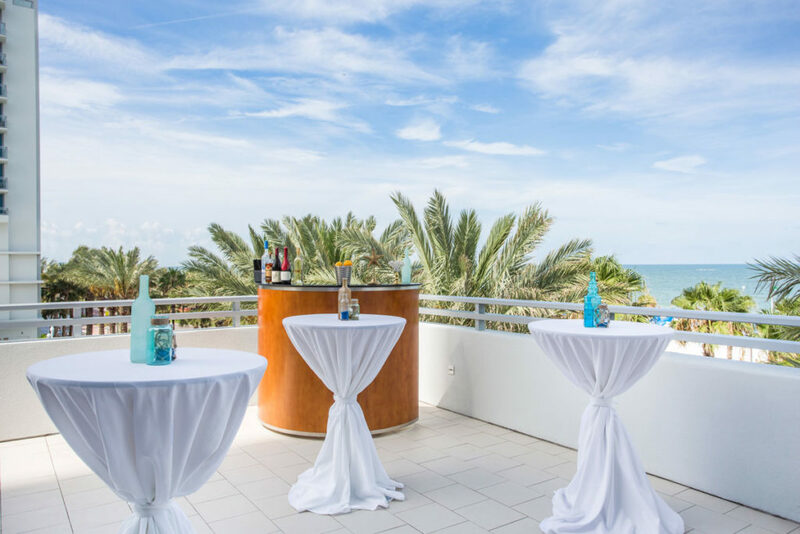 The event space at Wyndham Grand Clearwater has been thoughtfully designed for ease of navigation. 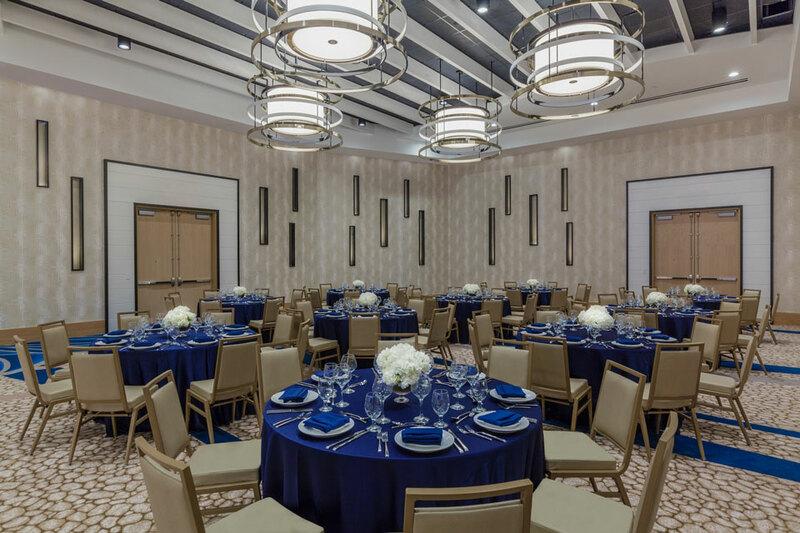 The area’s largest ballroom (10,632 square feet) is on the lobby and eight meeting rooms are off one hallway just above the ballroom on the third level, accessed by a dedicated meeting space elevator. 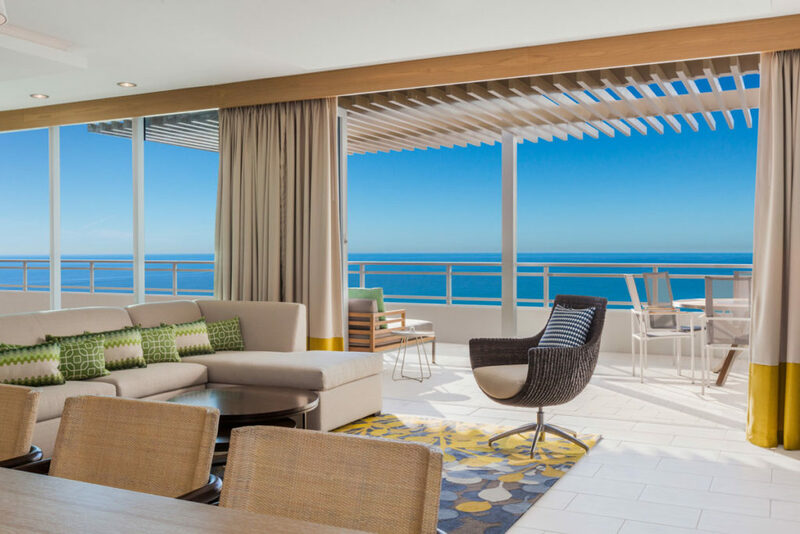 Several of the rooms have full balconies overlooking the beach; hospitality suites can host up to around 25 people, and two massive, two-level presidential suites provide retreat options for groups of up to 60 guests.